Heart Pillow is made to connect people in the most affective way possible. It reproduces a person's heartbeat remotely and in real time from a distance. 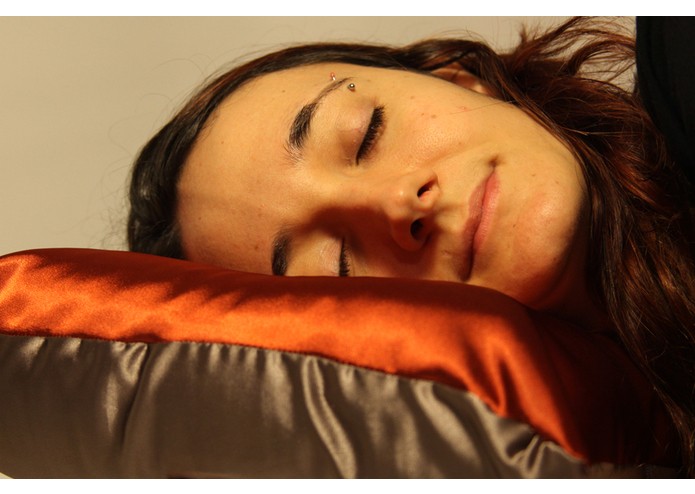 As one user wears a heart rate sensor, another user can feel the pillow pulsate at the same rate from another place – it can be used in any situations in which transferring a heartbeat into an everyday object can be interesting or useful, such as connecting a couple that lives far apart or to calm down newborn babies with the known feeling of their mother's heartbeat.